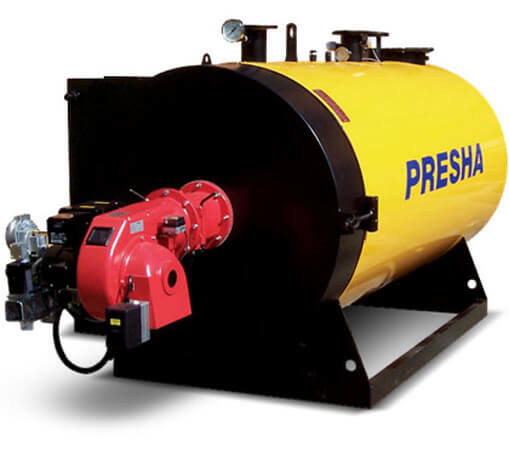 PRESHA offer a range of horizontal steel fire tube hot water boilers (heaters) built by Energy Management Services. They offer the best technology and highest construction standards. All of our boilers are built to Australian Standards and have independent design verification by an ‘accredited’ pressure vessel design company to benchmark the design and construction quality. We offer only top quality gas burners such as Nuway or Saacke who have proven track records with our product over many years. 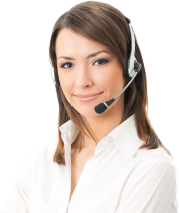 We can offer specifications to meet most customer requirements with controls from our standard analogue to full digital on request. b) Using heater with working temperature of 90C or below without open vent: Hazard level ‘D’ AS4343. Fluid class 4 NHL. c) Using heater with working temperature above 90C without open vent: Hazard level ‘D’ AS4343. Fluid class 3 HL. Manufactured in 16 sizes from 150KW to 4,000KW. Modern wet back, 3 pass reverse flame design. 500KPa design, higher pressures available on request. Three gas passes, the burner fires into the furnace that is completely surrounded by water. Gases travel down the furnace, scrub around at the end of the wet back. Gases travel back down the furnace to the front of the heater. Hot gases leaving the furnace are then divided and travel through individual flue tubes. Hot gases passes heat via turbulators fitted to the flue tubes. Large furnace to allow complete combustion, forcing the hot gas down to the end of the furnace, enhancing circulation with in the boiler. Minimal refractory complemented by a wet back style furnace ensures high gas to steam efficiency. Generous heating surface ensures high efficiency. Generous heating surface and match water volume allows for steady water temperature control. Safety valves are fitted as standard to heaters. Gas Burners ordered as modulating control will be fitted with an air to gas ratio controller. Temperature controller is via High low thermostats or for Modulating via a Siemens RWF controller, this pluses the air damper to either increase or decrease the air & gas to the heater. This provides for rapid response to load changes. Front door hinges open, this only requires the gas train to be disconnected. Electrical controls on the PRESHA P are high quality and are all of the shelf items, allowing for easy repairs if an item fails.